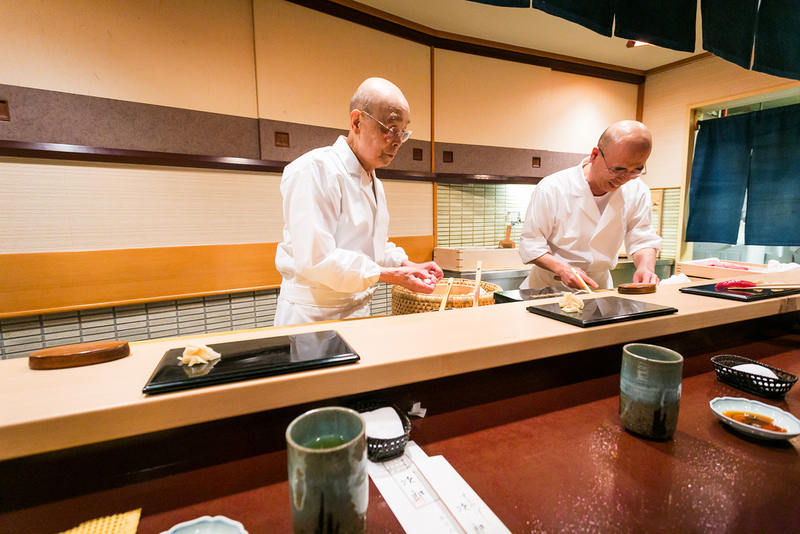 I wanted to jump in a plane and head to the Sukiyabashi Jiro, Jiro’s tiny restaurant in Tokyo, where only sushi is served. If you love food (sushi in particular), quality, passion, work ethic, music and humor, you’ll love this film. Jiro’s life is an amazing example of a man who loves what he does and wants to learn and improve his craft and teach it to others, especially his two sons. It reminds me how much the Japanese and French cultures have in common when it comes to food, from picking the best ingredients to serving the right portions (yes, women don’t need to eat as much as men) to tasting, smelling, savoring, cooking and following lots of rituals that we seem to have lost in our 21st century eating style of any time and mixing any food but worst of all eating anywhere but at the table, preferably fast as if eating were a contest or a chore. I hope this film helps people of all ages and cultures to realize that we are what we eat and paying attention to what Jiro says is a timeless lesson that Jiro managed to teach his sons and dedicated small staff. And even people who don’t like sushi or have never tasted it (they don’t know what they are missing in both cases) can learn a lot from this film, including the fact that low quality sushi aint worth eating but, yes, it requires trained tastebuds to taste and appreciate great stuff: just look at the customers’ faces after they’ve savored Jiro’s treats. It’s also clear that small is beautiful. The proof is in the pudding. When I’m down, I chocolate.